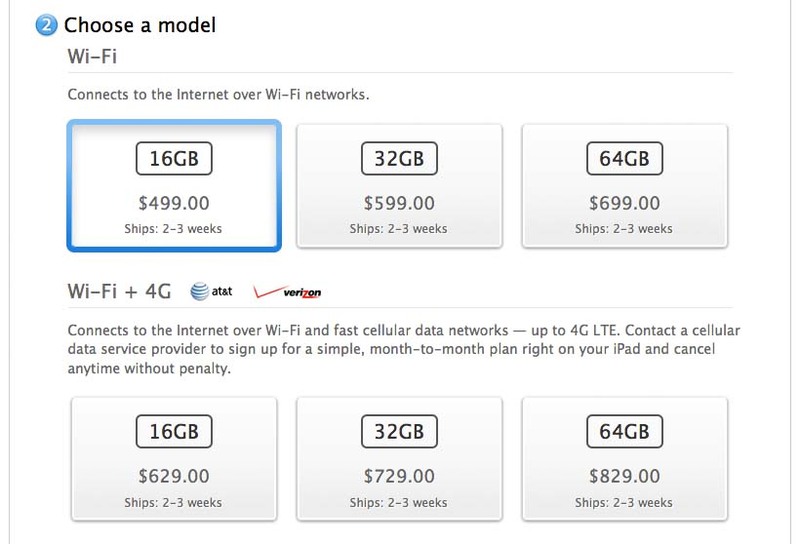 While March 16 is the official launch date of the iPad 3, those customers who were hoping to order the “new iPad” online may have a significant wait ahead. Apple has completely sold out all of its online pre-order stock amidst massive demand for the third-generation iPad, with wait times in the U.S. Apple Store blowing out to 2 – 3 weeks. Equally long estimated shipping times have also been seen in Australian, Canadian and European online stores. 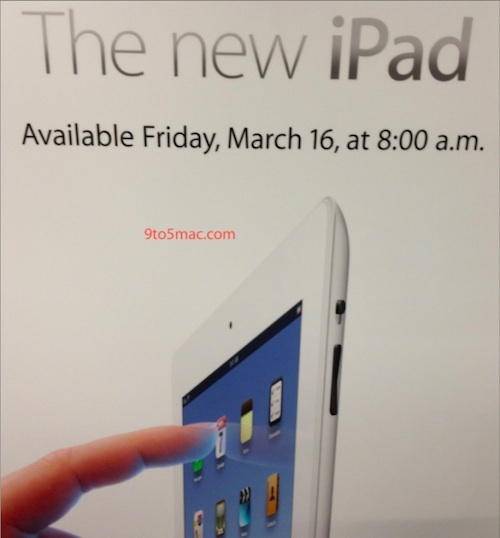 The first photos of store merchandising have appeared (via 9to5Mac) indicating that Apple’s retail stores will be opening at 8:00 AM local time on March 16th. With pre-orders now sold out, those people wishing to pick up an iPad on launch day will need to wait in line in hopes of getting their hands on the device.